Delta Airlines has revealed its first A330-900neo routes. Based on information provided by the airline, the aircraft’s first commercial flight is expected to take place on July 1st. 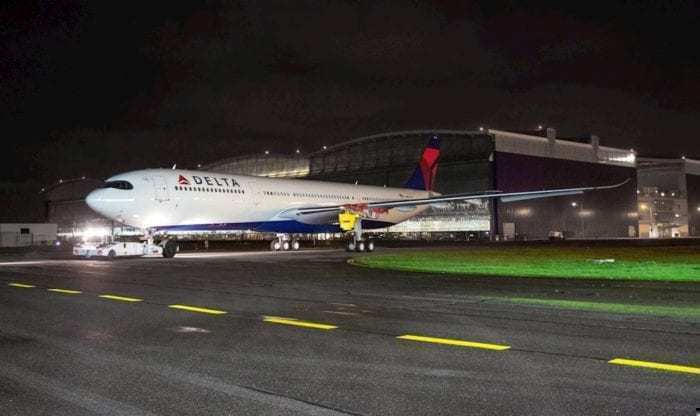 Delta’s first A330-900neo rolled out of the paint shop in Toulouse, France last month. Photo: Delta/Airbus. 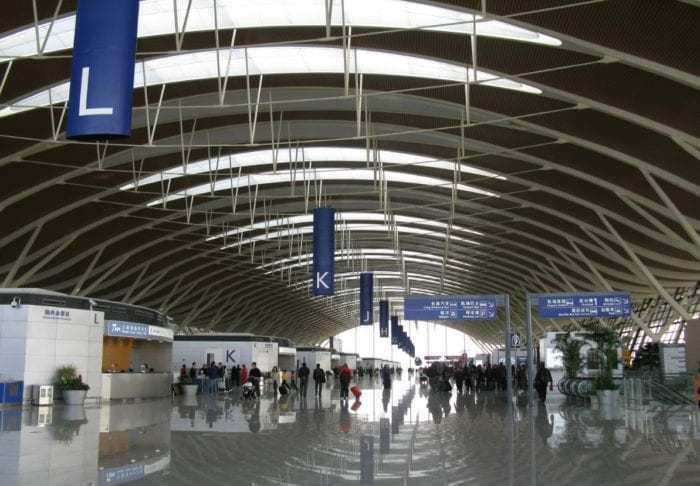 Tokyo Narita International Airport (NRT) starting August 31st. Seattle-Tacoma International Airport to Shanghai Pudong International Airport will be Delta’s Airbus A330-900neo’s first route. Photo: Wikimedia. The Airbus A330-900neo will replace an Airbus A350 on the Seattle to Narita route, and Boeing 767-300 aircraft on the other two routes. Delta currently serves over 50 destinations from its Seattle hub. Delta’s A330-900neo aircraft will offer 281 seats in 4 classes (29 in Delta One Suite, 28 in Delta Premium Select, 56 in Delta Comfort+, and 168 in the main cabin). Simple Flying published a seat map for the aircraft a few days ago. The Delta One Suites feature fully lie-flat seats with direct aisle access and even a full-height door for added privacy. Furthermore, they boast a 15-inch entertainment screen. 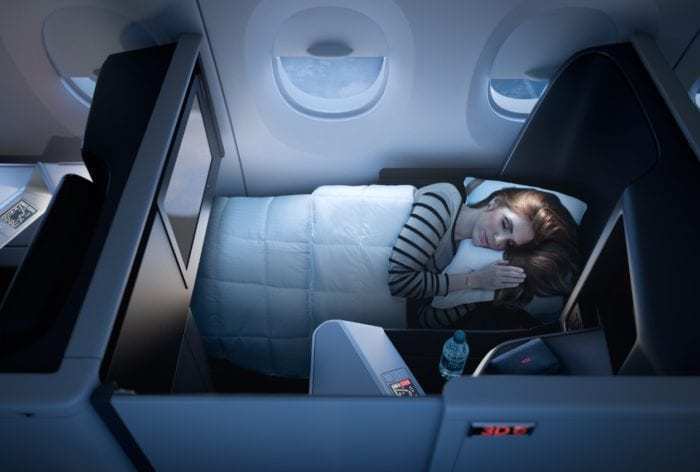 The Delta One Suite was designed for passenger comfort. Photo: Delta Airlines. The Delta Premium Select seats have a pitch of 38 inches and a width of 18.5 inches. In addition, they offer adjustable leg and head rests as well as up to seven inches of recline. Delta Comfort+ is basically the same as Economy; however, the pitch is larger (34 inches), and there is a dedicated overhead bin. Furthermore, the seats are located in front of the main cabin. Finally, we have the main cabin. The seats in the main cabin feature a pitch of 33 inches. They also provide memory foam cushions as well as complimentary seatback screen entertainment. According to Delta Airlines, the Airbus A330-900neo will be its first widebody aircraft to offer its new wireless in-flight entertainment system. This system was developed by Delta Flight Products. Moreover, the aircraft will feature high-speed internet and provide passengers with free onboard mobile messaging through Facebook Messenger, WhatsApp, and iMessage. Passengers traveling from Seattle to Asia are likely very happy that Delta will operate the Airbus A330-900neo aircraft on some of the routes starting this summer. Tickets for the A330-900neo flights will go on sale as soon as March 2nd. At this time, however, we do not know when Delta Airlines will start operating the aircraft on routes departing from its other hubs. Are you looking forward to traveling on Delta’s Airbus A330-900neo aircraft?